Summer is winding down and a new school year is right around the corner! Whether your child is starting kindergarten or their senior year of high school, it is an exciting time for all involved. However, preparing your child to go back to school can sometimes be stressful and expensive. The Castillo Group has school supplies lists, information on dress codes and academic calendars for all of the local San Antonio schools. We have also researched all of the top retail supplies stores in the area to help you find the best deals in town! School dress codes are always a point of debate. It can be confusing and stressful when your child is sent home or reprimanded for clothing that you deem appropriate. To make things a little bit easier, we studied the student handbooks of NISD, NEISD and Boerne ISD and pooled common information on dress codes to come up with a general student attire dress code for female students, male students, and all students. Below we have included the dress code expectations of all NISD, NEISD and Boerne ISD students. We did not include the dress codes of schools that require uniforms, which include the following and can be found on the respective websites of each school. We understand that supply lists can be long and tedious and may sometimes even require items that seem out of the ordinary. And we realize that supplies add up and are expensive, especially when you have more than one child in school. However, we also know of the best places in San Antonio to buy supplies, so we have compiled two lists of recommended school supplies for elementary schools and secondary schools and have included the top supply retailers in the area. 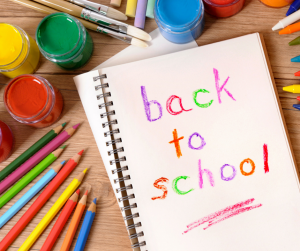 Although, your son/daughter may require different or extra supplies once class is in session, the items on these lists should provide them with a good head start. This year Staples has enforced a “110% Lowest Price Guarantee” which is valid from 6/28/15-9/19/15. If you find the same product at a different store all you have to do is either take a picture and show it to a Staples employee or bring the item with your receipt and you will be reimbursed! Staples is also stepping up their game by providing coupons to the GAP. The coupon states that you can save $25 on your next purchase of $50 coupon at Gap when you spend just $10 at Staples, now until 8/25/15. Target currently has a BOGO sale going on that applies to most school supply items. They are also offering free shipping and free returns on every order, along with an online shopping assistant feature, where you can go online to Target.com and order your school supply items to be shipped to the store for pickup! Wal-mart is offering tons of awesome “School Supply Bundles” from as low as $9.74. The 5-6 grade school “basics bundle” comes with 4 items with options ranging from markers/highlighters, pencils/colored pencils, paper packs, and binders/accessories. They are also offering free shipping on orders $35 and more. This school year Amazon has made back-to-school shopping more convenient than ever before! One of the largest electronic commerce companies in the world has created a feature that allows teachers to go on to the website and post their school supply lists with direct links to buy the products. We have searched the elementary, middle and high schools of the school districts in this area to ensure that there is a list for each school. If your child’s school does not appear on the list then you may want to check the website of that school or school district. The following school lists can be found at www.amazon.com/gp/school-lists . Northside Independent School District (NISD) did not have any of their school lists posted on Amazon. However, if you visit www.nisd.net/schools/supply-lists the school district has posted the lists for every elementary school. The site states that students at the NISD middle school and high schools will receive their supply lists from their teacher on the first day of school. The Castillo Group understands how important it is that you stay up to date with your children’s school schedule. And we also know that children aren’t always the most reliable source for this information. Below we have included the 2015-2016 academic calendars for the NISD, NEISD, and Boerne School Districts. This post brought to you courtesy of The Castillo Group, serving the greater San Antonio area and surrounding Hill Country. Looking to buy or sell you home? Give us a call at 210.410.5556 !